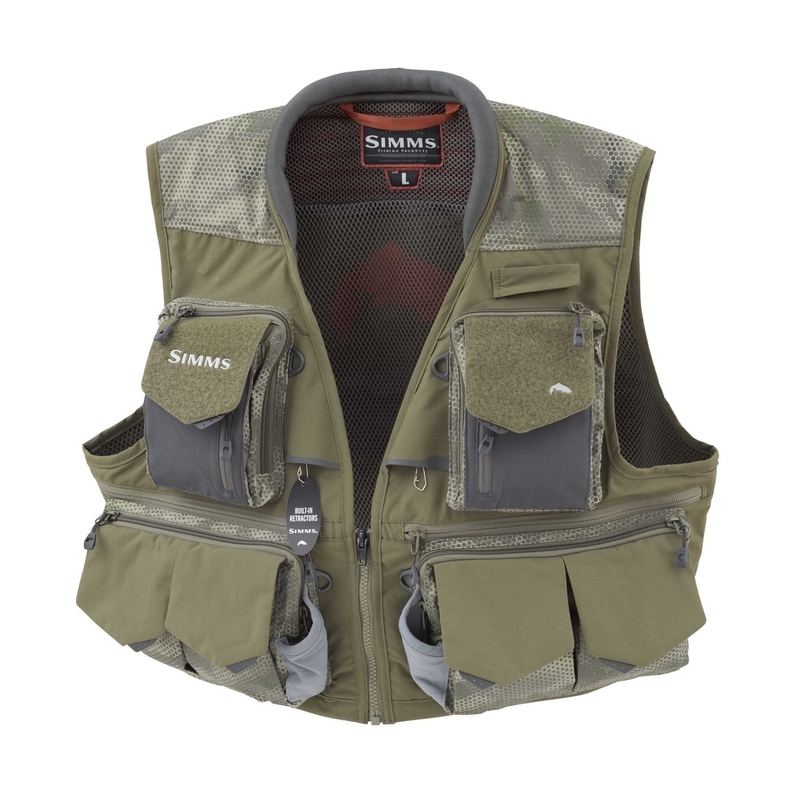 Simms Guide Vest - 2018 Model. All you ever really need is a hand on the rod and a foot in the river, but bringing along an arsenal of gear is a nice bonus. Simms' Guide Vest is spacious, intuitive and comfortable for outings that last from dawn until dusk. The vest includes 26 pockets to fit all your tackle and more, and a third-hand rod holder that frees a hand when you need to release that wriggling two-footer. A ventilated, padded collar adds plush comfort that keeps you cool on long days snapping casts across the water. The vest is finished in a water-resistant coating. Headwaters™ Packs feature ultralight and ultrastrong CORDURA® fabrics, originally developed for use in the automobile/airbag industry, for maximum durability without jeopardizing lightweight performance.